Duquesne Incline vs. Monongahela Incline: Which is Better? Also known as simply “The Mon” for short, the Monongahela Incline is one of Pittsburgh’s greatest treasures and it also happens to be the oldest continuously-operating funicular railway in the entire United States. It first opened for business on May 28, 1870 and has transported millions of passengers over its more than 116-year history. Before the Monongahela Incline was built, steep pathways were the only quick means of transport between the top of Mount Washington and the river flats below, causing a lag in development of much-needed new housing due to the lack of good roads and public transportation. 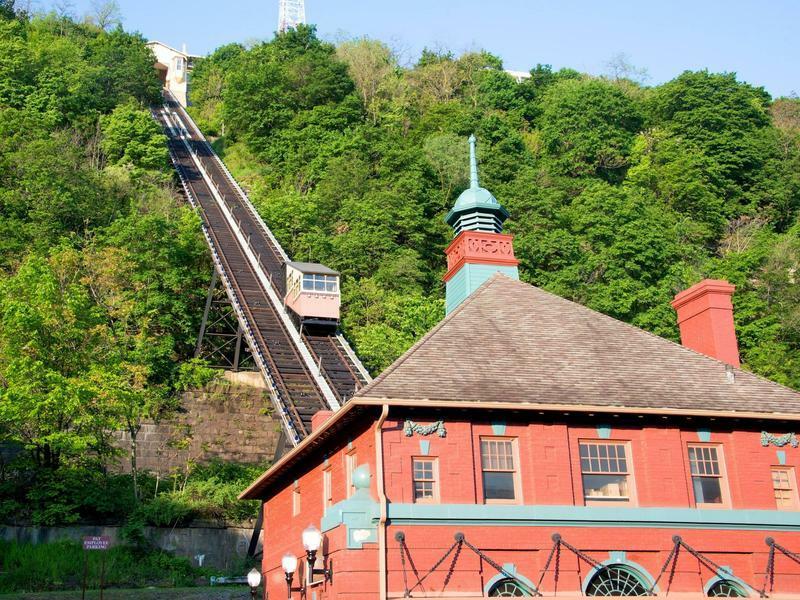 The Mon Incline was consolidated into Port Authority operations in 1964 and was later declared a historic structure in 1970 by the Pittsburgh History and Landmarks Foundation. Over the years, the Monongahela Incline has been renovated several times to avoid closure and ensure it will be used for generations to come. Considering that more than 1,500 riders use the incline on any given weekday, with that number more than doubling on a busy weekend, its future looks bright, indeed. For more information about Pittsburgh’s Monongahela Incline hours and info, call 412-442-2000. Although the news reported that Pittsburgh's Duquesne Incline was near closure in 1963, a group of Duquesne Heights residents stepped up to save the historic railway and took over its operation with the Society for the Preservation of the Duquesne Heights Incline and its observation deck, which is a nonprofit organization that also operates a museum of Pittsburgh history in Pittsburgh's Duquesne incline at upper station. First opened on May 20,1877, today the Duquesne Incline observation deck still offers some of the very best views of downtown Pittsburgh, as do its elegant original wooden cable cars. The Duquesne Incline closely follows the tracks of an old coal hoist and cost around $47,000 to build. The museum houses a large photo collection and a wealth of information about inclines from Pittsburgh and around the world. Visitors can also check out the interior of the Duquesne incline and see firsthand how the machinery operates. For more information about Pittsburgh’s Duquesne Incline hours and info, call 412-381-1665. 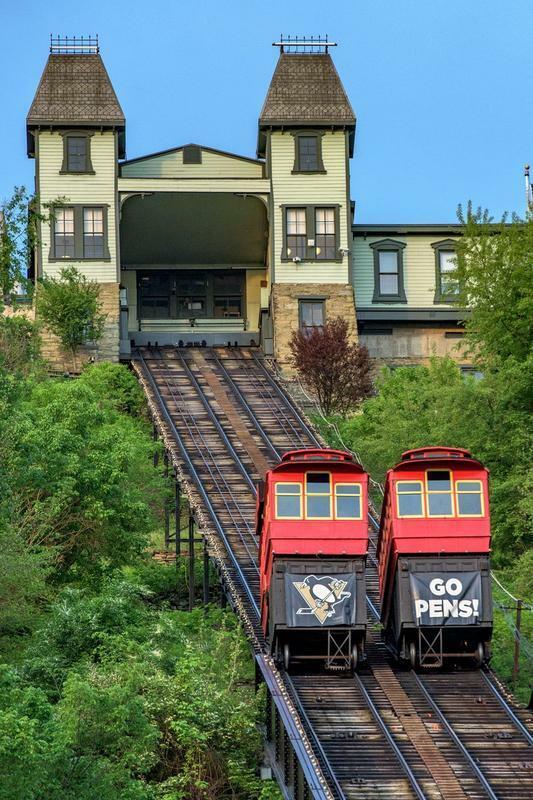 Monongahela Incline - Where to Dine: Grandview Saloon and Coal Hill Steakhouse. Where to Shop: The Shops at Station Square. Where to Stay: Sheraton Pittsburgh Hotel at Station Square. Duquesne Incline - Where to Dine: Soho. Where to Shop: Heinz Healey’s. Where to Stay: Hampton Inn Pittsburgh/Greentree.